Immaculate, Split Ranch on 2.48 acres in Brimfield! This much loved, one owner home has been very well maintained. 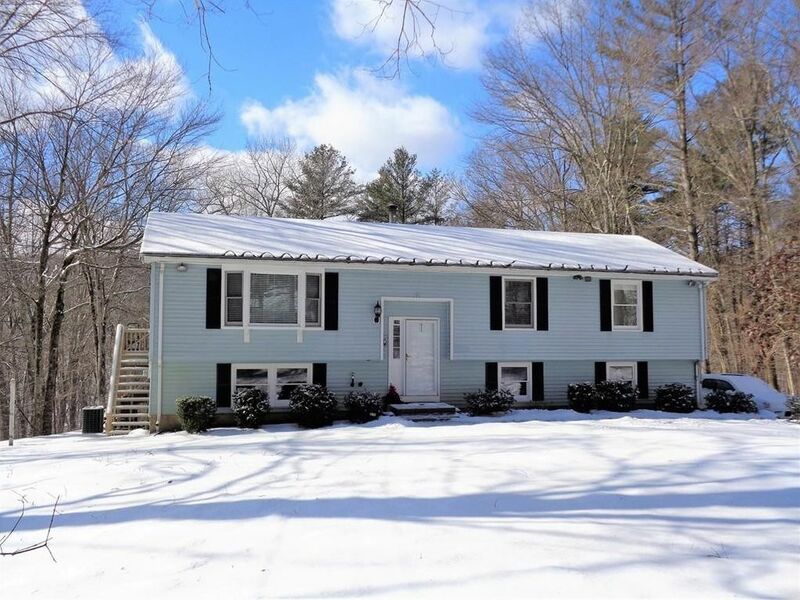 Updates include: roof, furnace, HW tank, central A/C, central vac, well pump, holding tank, filtration system, kitchen, baths, carpeting, recessed lighting, insulation, French door & BRAND NEW SEPTIC! Sun-filled kitchen with stainless steel appliances, tile floor & updated counters with peninsula. Attached dining area with laminate floor and French doors lead to an expansive entertaining deck overlooking the beautiful woodlands and fire pit patio. Family room with new carpet, recessed lighting, surround sound speakers and a pellet stove hookup. Three good sized bedrooms, a spacious, remodeled bath with a new tub surround and granite counter vanity. Lower level includes a laundry room with washer & dryer, 3/4 bath, separate finished room and a full workshop with exterior door. 2 car heated garage includes storage shelves and even a 5 HP air compressor! !